Watch anime online, stream anime episodes online for free.Watch Naruto Shippuden Episode 38 English version online and free episodes. Anime Episode guide, Chapter Naruto Shippuden Episode 38 English dubbedSimulation Yamato decides a mock test for his team to see how everyone coordinated with each other. 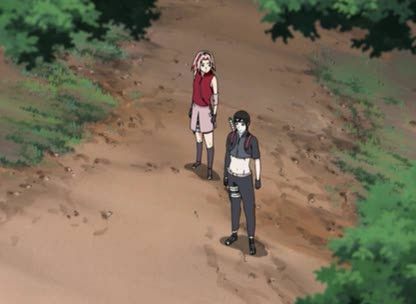 Naruto is paired with Sai despite his objections, and Sakura is assigned to support Yamato. Yamato conducts a simulation of the meeting, with himself as “the spy”, to gauge Naruto and Sai’s abilities and teamwork. After Naruto makes a mistake, Sai immobilizes him and goes off alone. Naruto is angered with Sai for not acting as a comrade would, but resolves to work together with him to get Sasuke back. Sai then reveals to Sakura that he has no emotions, and little understanding of them, as a part of his training in ANBU Root.